Many people are unaware that their credit card has several other great perks beside the one-swipe payment convenience? Sure there are many consumers who are aware of mileage rewards and the cash back allowance but there are still a few other benefits which they are not aware of that their card entitles them to. 1. How many of us has had the unnerving experience of cancelling a ticket for a trip that we were about to take, but had to change the plans at the last minute? Many airlines will charge you a hefty fee for cancelling a ticket that was booked months ago; however if you had bought the ticket through your credit card, you may be entitled to reimbursement. So before you get mortified about cancellation charges, call to find out if one of your credit card perks covers cancellation charges. 2. Have you always wanted to use those fancy concierge services at hotels, but found that they were a bit too far out of your price range? Check your credit card purchase agreement and you may find that your card offers you free concierge services. Finding those hard-to-get event tickets just got a lot easier. 3. Another really helpful benefit of credit card perks that can come in handy very often is the lost luggage insurance which many credit card companies vouch for through the purchase. Some credit cards would pay you $300 upfront if your luggage is missing for more than 12 hours to get you some essentials. Credit cards also usually insure the loss of whole luggage and might surprisingly assist you quickly than the airlines. 4. Car rental companies are quick to push a collision damage waiver (CDW), which is like insurance against car loss and damage. Don’t be so hasty to sign it before checking it with your credit card company. It may cover the rental car loss/damage. In order to qualify for that, you should pay for the rental through your credit card. 5. Extended warranties which the credit cards usually offer can really prove to be beneficial. Not only will you get the comfort of instantly paying for something you really need but don’t have cash for right away, your credit card perks may also offer an extended warranty on the product you purchased. For example if your purchased product has a year’s warranty, you might get another year under warranty through your card. 6. Don’t worry if you didn’t purchase an item that has warranty. Credit card companies usually offer purchase protection that covers accidental loss and/or damage to your purchased item. For instance, if you purchased an expensive product and it got accidentally damaged or stolen, your credit card will reimburse that loss by either paying for it completely or to a large extent. 7. 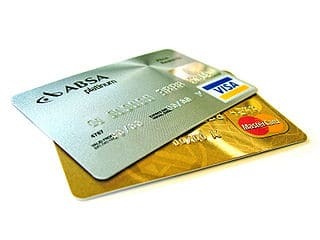 Some credit cards also offer return protection, which means that if you change your mind about a purchase and if the store refuses to refund, you can get the return and refund through your card.